@brolly759 probably a switch of some type. Aren't the ethernet modules stackable? If so, just add an expansion/power-dock2 and 2 - 4 ethernet modules and you should have 2 - 4 individually addressable ethernet ports. Adding a switch extends your network topology to accommodate multiple other devices, but the individual port control (firewall, up/down, bridging, vlans etc.) is limited to the single ethernet port on the O2. Arguably, a managed switch allows for more complexity in the configuration of your infrastructure, but control of that from the O2 device itself is more complicated than having several physically connected ethernet ports. Another possibility could be one of the docks with a usb port, adding a usb hub (powered) and several usb/ethernet adaptors. That is an awesome little hub but I am building my own IoT hub so I dont want that. (Plus its based off a lower speed chipset) Thanks though. I just tried stacking 2 Ethernet boards, it actually made the first one stop working. No new interface in ifconfig and logread doesn't show any message. I am assuming I need custom harmonics? There is just one Ethernet PHY inside the IC MT7668 used in Omega2. Bottom-line, the answer to your original inquiry is NO, if you are looking for multiple physical NICs. @ccs-hello actually, there is a 4-port switch and a total of 5 ethernet ports inside the MT7688. 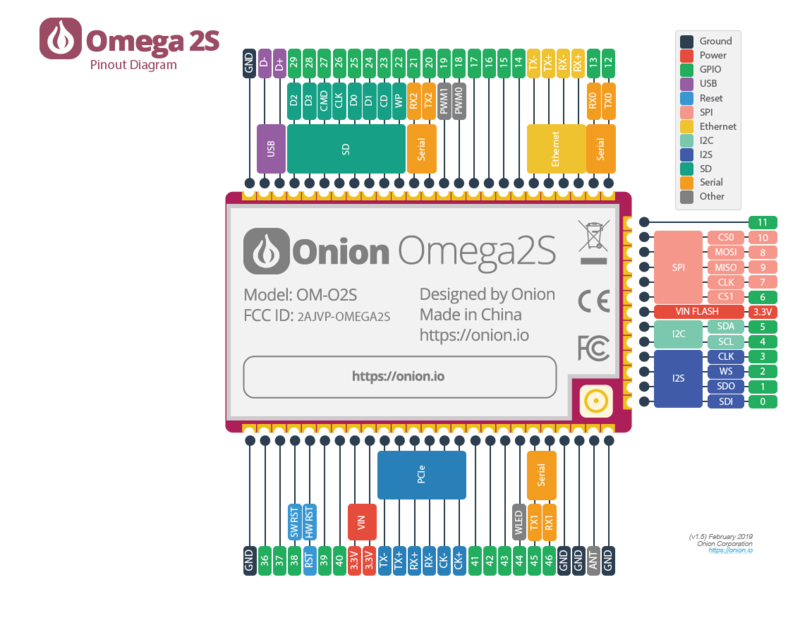 The problem is, only the pins for a single port are available on the Omega2. With the Omega2S (the SMT version), all pins are available and you could use the 4 other ethernet ports. have to be mapped to Omega2S' external metal can's leads. Do you have info they are available? GPIOs 14-29 can be used for 4 additional ethernet ports. BTW, last time when I inquired about buying few Omega2S, the answer was "need few hundreds"... The situation might have changed. @ccs-hello did you ever get the 4 ports of ethernet working with an Omega2S? I don't have an Omega2S (need a bulk purchase, not a qty 1 product) so no way to test it out. Thanks Bruce glad to know the (new) approach. At least, that's new to me. someone need to use EasyPCB to build a simple prototype PCB (0.05" pitch <-- 1.27mm pitch) with some essential parts. To be honest, IMHO I think the best use cases would be avoiding the "yet another consumer router" approach but IoT focused. However, the latter has to be power efficient, i.e., support sleep mode. Hint hint. I intended to try it, and made a PCB with two Ethernet jacks (https://oshpark.com/shared_projects/3Ix9lK3Z). But then the project only needed one port, and I didn't find the time yet to dig deeper. As there are MT7688 based routers using OpenWrt (Minibox V2.0, androegg.de), one could try to look at those firmwares or ask the people who configured it. Basically, I'd guess it's tinkering with /etc/config/network and the swconfig utility.